Yellowfin Yachts is succeeding, even during these tough times, by focusing on a specific market: high-end, outboard-powered sportfishing boats for well-heeled, hard-core anglers. With a background in offshore performance powerboat racing and tournament fishing, Nagler in 1998 set out to build a fast, wave-piercing center console that was also a top-of-the-line offshore fishing boat. His first Yellowfin was a 31-footer introduced in 2000. He has since added eight boats to a center console lineup that ranges from 23 to 42 feet. The company also builds three smaller boats — a 17-foot skiff, a 21-foot hybrid (a combination bay and flats boat), and a 24-foot bay boat. Nagler launched his company with just nine employees. Today, Yellowfin employs about 85 and builds roughly 140 boats a year at its 96,000-square-foot, six-building headquarters in Sarasota, according to Nagler. 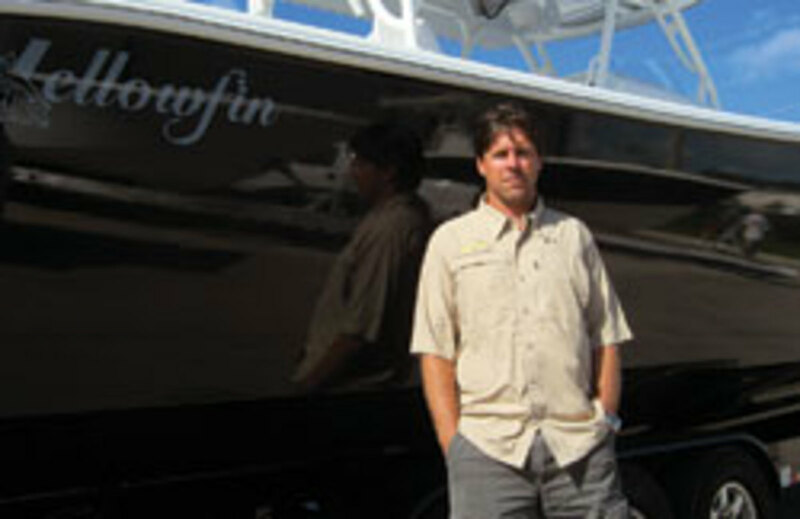 Yellowfin introduced one boat each year during the height of the recession from 2008 to 2010 (the 32, 29 and 21). 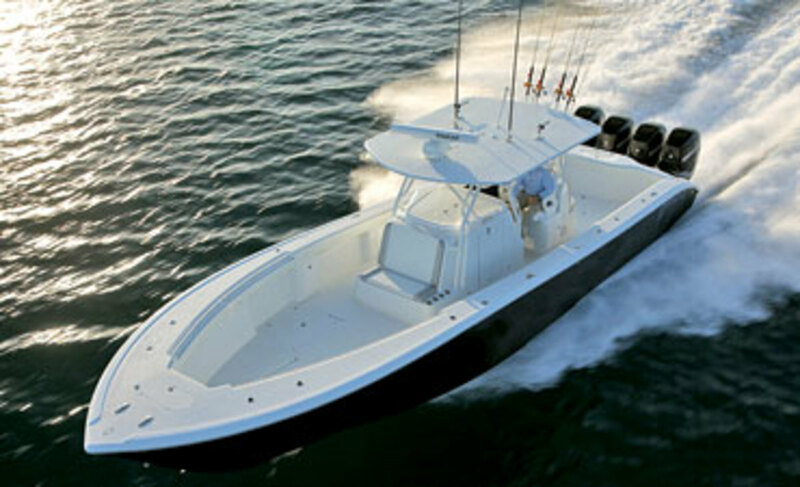 The builder debuted its 39-foot center console at the 2010 Fort Lauderdale International Boat Show (www.showmanagement.com). Nagler spares no expense, and it shows on the price tags of his boats. The 36 with triple Yamaha F300s retails for $246,720. The 24 Bay with a single Mercury Verado 300 carries an MSRP of $74,256. But that’s OK, he says, because price is no worry for most of his buyers. “Ninety percent of our customers pay cash,” he says. The boats are impressive while blasting through the water, sitting on a lift, at anchor, even rolling down the highway on a trailer. Living in Sarasota, I’ve seen them in all of these scenarios. But I had not seen the factory until this summer. After an hour-long sit-down with Nagler, production manager Heath Daughtry took me on a tour, showing and describing the “processes,” or stages of production. As we walked through the different areas, such as lamination, assembly and rigging, Daughtry pointed out that the company builds one boat at a time. For instance, the assembly crew carries out its job — from putting together the hull, deck and deck cap to installing through-hulls — on one boat until it’s done before work begins on the next boat, Daughtry says. “The customer comes out ahead this way because we focus on the needs of that owner, building and rigging the vessel accordingly,” he says. Needless to say, the company’s customer service has been top-notch, Berk says. “It’s a good feeling … having a company behind you that you know if the s- - - hits the fan they’ll take care of the problem,” he says. Nagler has total confidence in his boats and how they stack up against the competition. “We want people to try all the different brands because the majority of the time, if they do, we know they’ll end up in our shop,” he says. But he also knows his customers have kept his business cranking through the years by succeeding on the tournament circuit. “Their success has made Yellowfin the choice of all the top professionals, and we’re able to gather information from them to make Yellowfin a better brand,” he says.